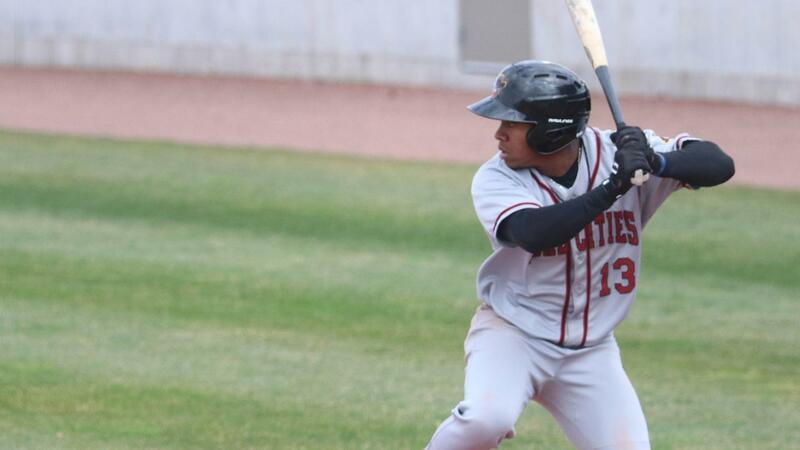 The Quad Cities River Bandits sent nine batters to the plate and scored four runs in the ninth inning to turn a 4-3 deficit into a 7-4 victory on Wednesday night at a chilly Ashford University Field. Enmanuel Valdez's two-run single up the middle with the bases loaded turned out to be the decisive hit in the comeback. By winning the first three games in Clinton, the River Bandits secured their first series victory of the season. The first inning was filled with offense from both teams. The River Bandits (4-3) used three hits to take a 2-0 lead in the top half. Jeremy Pena and Enmanuel Valdez set the table with singles and Scott Schreiber slapped a double to right that drove both of them in. However, Clinton (2-5) answered with solo home runs from Christopher Torres and Jerar Encarnacion off of Nivaldo Rodriguez to tie the game in the bottom half. Quad Cities scored an unearned run to re-take the lead in the third inning. Once again, Schreiber played a big role. The first baseman walked, took second base on a wild pitch, went to third when the throw sailed into center field and scored when the throw to third base got away from third baseman Bubba Hollins. Clinton was charged with a pair of errors on the play. The one-run lead held until the bottom of the 5th when Clinton scored an unearned run to tie the game. Marcos Rivera reached base on an error by second baseman Enmanuel Valdez to open the inning. He moved to second on a wild pitch and advanced to third on a groundout. With two outs, the nine-hitter Thomas Jones slugged a triple off of the wall in center field to tie the score. The hit was his first of the season. The LumberKings took the lead for the first time in the bottom of the seventh. Rivera singled past a diving Trey Dawson at short to start the frame and then moved to second on a wild pitch. Michael Donadio scored him with a base hit into left field that put the home team ahead 4-3. That score remained until the top of the ninth. The rally began with one out when Andy Pineda reached on a bunt single. He raced from first to third on Trey Dawson's ensuing single to left, putting the tying run 90 feet away. Ross Adolph fell behind in the count 1-2, but turned on a pitch and rolled a sharp single through the right side to even the game at 4-4. The single was Adolph's first hit since opening night. Jeremy Pena followed with a walk to load the bases in front of Valdez's clutch two-run single to center. The lead grew to 7-4 when Cesar Salazar bounced out to first, driving in Pena in the process. Devin Conn closed out the game by retiring the side in order in the bottom of the ninth to earn his first save. Humberto Castellanos picked up his first win of the year by pitching 3.0 innings out of the bullpen and allowing one run on two hits. Nivaldo Rodriguez, the starter worked 5.0 innings, allowing three runs, two earned, on four hits. The three pitchers combined for 16 strikeouts in the game. The River Bandits lead Minor League Baseball with 100 strikeouts through seven games. Three members of the Bandits lineup collected two hits. Valdez and Schreiber each drove in two runs to lead the offense. Pineda went 2-2 and worked two walks to reach base in each of his four at bats. The four-game series will come to a conclusion on Thursday evening at 6:30 p.m. RHP Cody Deason (0-1, 16.20) will work as the starter for the River Bandits. Clinton is scheduled to toss RHP Humberto Roberson (1-0, 1.80).